We are E will hit you with a double dose of international musicality this Friday when they visit Studio 80 with a line up that contains exactly that summer warmth that the Dutch weather has been lacking so clearly and painfully. Except for this last week of course. Anyhow, Jay Shepheard and Dan Curtin will be the stars of this edition supported by We Are E’s protégé Bas Amro. Studio 2 is all about Natives this time. This tribe has a serious statement about a night into town. It has to be cheerful, melodic and unique, featuring their artists Martin bell, Mike Melchiot and Mulla. Wondering who VBX is? Well, that’s the new identity our friends of Vrijbuiters decided to use for this new era of international partying. With this said, their events will remain raw, underground and pure. Just like the one they’re throwing this Saturday at the Undercurrent. For the occasion they invited Cocoon’s Dorian Paic and Club der Visionaere resident Nicolas Lutz. Local support comes from heroes such as Boris Werner, Bob Nagel & Michael Jacques and mister VBX himself: Freddy Spool. Sounds like a nice party to go to after NDSM’s Voltt Loves Summer festival. Voltt has established its name in the capital’s party scene as one of the safest bets if you’re looking for familiar faces, with both local and internationally known artists, and well-packed venues, both in and out doors. Like every year, they’ll be throwing their infamous Voltt Loves Summer festival during the day. But for all you night crawlers the after hours will take you into our city’s pop temple, featuring the festival’s best artists willing to keep on shining behind the decks. Who might that be? Gaiser? Tale of Us? Mathew Johnson? Mathias Kaden? Pan-Pot? Marek Hemmann? Robag Wruhme? Luckily you can always count on your host Bart Skills. Lastly, there’s this other festival called Mysteryland. You’ve probably heard of it before. 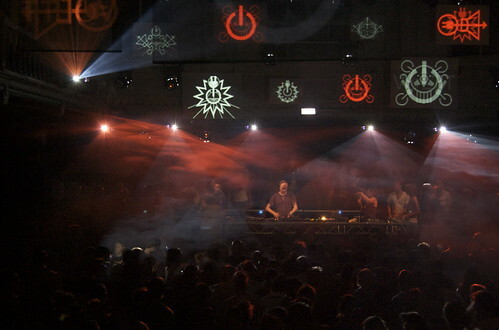 One of the stage hosts, GZG, will also continue to rave in a proper warehouse in western Amsterdam. Near Sloterdijk, where the transportation from and to Mysteryland stops. Apparently, it’s gonna be just like the good old GZG days. Intimate, rather small (600 people) and very warm. 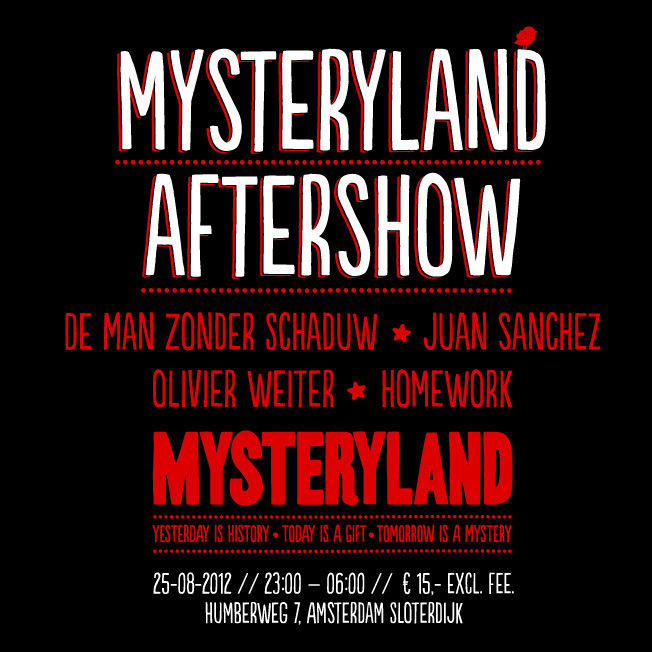 Expect your usual GZG suspects De Man Zonder Schaduw, Juan Sanchez, Olivier Weiter and Homework. Have a marvellous hangover Amsterdam!